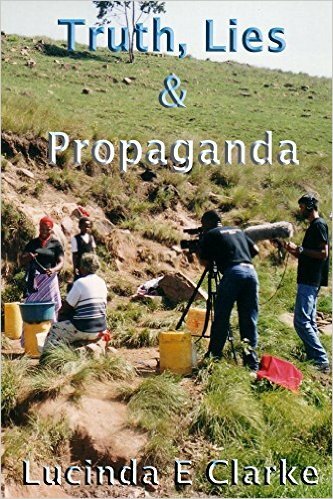 *Truth, Lies & Propaganda: in Africa (Truth, Lies and Propaganda Book 1) (Deal, Not Free) by Lucinda E Clarke. Price: $0.99. Genre: Memoirs & Biographies Deal of the Day, Sponsor, Travelers & Explorers, Actors & Entertainers, Africa. Rated: 4.9 stars on 30 Reviews. 253 pages. ASIN: B00QE35BO2. Reviewers love it: I thought this was an amazing and inspiring book! What wouldn’t I do to have a meal with this woman and spend hours listening to her stories about life! This is a book you definitely want to pick if you have interest about the broadcast world or other cultures! I found myself immersed in this tale from the beginning! Posted on March 31, 2016 Author KibetCategories $1 Travel deals, Biographies, Free Travel Kindle Books, memoir, TravelersLeave a comment on Kindle Travel Deals for Thursday! Posted on March 30, 2016 Author KibetCategories $1 Travel deals, Biographies, Free Travel Kindle Books, memoir, TravelersLeave a comment on Kindle Travel Deals for Wednesday! *The Secret Travel Guide to Money Saving Travel Tips by Ronald Robbins. Price: Free. Genre: Budget Travel, Travel. Rated: 5 stars on 9 Reviews. 58 pages. ASIN: B01DIFJ662. Athens in 3 Days – A 72 Hours Perfect Plan with the Best Things to Do in Athens (Travel Guide): A Step-by-step plan on How to spend 72 Amazing hours in Athens. Save Time & Money.Get 30 Local Secrets. by Athens Travel Guide by Guidora, Athens Guide, Guidora Team. Price: Free. Genre: Athens, General, Budget Travel, Travel, Greece, Tips. Rated: 4.4 stars on 5 Reviews. 95 pages. ASIN: B0141EUZ7I. Posted on March 30, 2016 Author KibetCategories business, Free Travel Kindle Books, TravelersLeave a comment on Kindle Travel Deals for Tuesday! *Milan Travel Guide: Top Attractions, Hotels, Food Places, Shopping Streets, and Everything You Need to Know (JB’s Travel Guides) by JB’s. Price: Free. Genre: General, Milan, Hotels & Inns, Travel, Italy. Rated: 5 stars on 6 Reviews. 39 pages. ASIN: B014ECPKP4. The Juice Bar Business Plan: Discover How to Start a Successful Juice Bar Business by Simone Armstrong. Price: Free. Genre: Hospitality, Travel & Tourism, Restaurant & Food, Retailing, Business & Money. Rated: 4.2 stars on 14 Reviews. 26 pages. ASIN: B00TVAFV7W. Posted on March 26, 2016 Author KibetCategories business, Free Travel Kindle Books, TravelersLeave a comment on Kindle Travel Deals for Saturday! *Travel Broke: Go Around the World with Less Than $30 a Day. (low budget travel, save money abroad, traveling cheap Book 1) by Shea Hendricks. Price: Free. Genre: Travelers & Explorers, Budget Travel, Biographies & Memoirs, Travel, Adventurers & Explorers, Tips. Rated: 4.6 stars on 11 Reviews. 32 pages. ASIN: B00VLR7GTY. Posted on March 25, 2016 Author KibetCategories Biographies, business, Free Travel Kindle Books, memoir, TravelersLeave a comment on Kindle Travel Deals for Friday! Free Memoirs of the Day! *Critical Failures in Europe: A tale of survival in Paris, and when everything goes wrong on the road by Tom Meitner. Price: Free. Genre: Memoirs of the Day, Sponsor, Travel, Travel Guide, Paris, Stress Management, Self-Help. Rated: 5 stars on 1 Reviews. 48 pages. ASIN: B01D10TN6M. Imagine you are in Beauvais, France, in the middle of the night. You know zero French and no way out. This was the uncomfortable situation in which the author and his wife found themselves in 2012. With one simple mistake, their tour of Europe, which was already hanging in a thread, burned to the ground. From the ashes of that trip came the understanding of how to survive anything, when everything becomes about survival. Experience Hawaii: An Expert’s Guide to Hawaii’s Best Sights and Attractions by Jack Abner. Price: Free. Genre: Adventure, Budget Travel, Travel. Rated: 4.7 stars on 6 Reviews. 87 pages. ASIN: B014LIF52E. Posted on March 24, 2016 Author KibetCategories $1 Travel deals, business, Free Travel Kindle Books, memoir, TravelersLeave a comment on Kindle Travel Deals for Thursday! 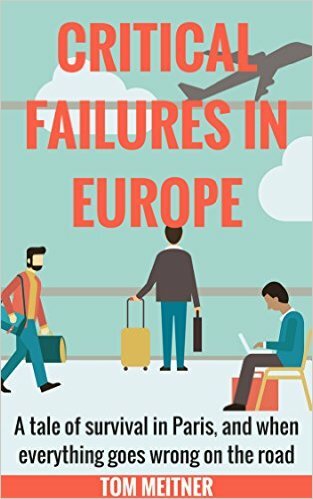 *Critical Failures in Europe: A tale of survival in Paris, and when everything goes wrong on the road by Tom Meitner. Price: Free. Genre: Memoirs of the Day, Sponsor, Travel, Travel Guide, Paris, Stress Management, Self-Help. Rated: 5 stars on 1 Reviews 48 pages. ASIN: B01D10TN6M. Imagine you are in Beauvais, France, in the middle of the night. You know zero French and no way out. This was the uncomfortable situation in which the author and his wife found themselves in 2012. With one simple mistake, their tour of Europe, which was already hanging in a thread, burned to the ground. From the ashes of that trip came the understanding of how to survive anything, when everything becomes about survival. *Free At Last: Live, Love, and Work Abroad as a 21st Century Global Citizen (Deal, Not Free) by Kristen Palana, Jacqueline Seidel. Price: $0.99. Genre: Travel Memoirs Deal of the Day, Sponsor, Travel Guide, Travel Writing. Rated: 4.7 stars on 15 Reviews. 110 pages. ASIN: B019LPY3U2. Reviewers love it: Inspiring, interesting and pleasurable! I found it charming and informative! This book rekindles the wanderlust in me, and reminds that there is so much more to life! The authors have really worthwhile information to share! Awesome guide for those who do not know where to begin their global adventures! Posted on March 23, 2016 Author KibetCategories $1 Travel deals, Biographies, memoir, TravelersLeave a comment on Kindle Travel Deals for Wednesday! 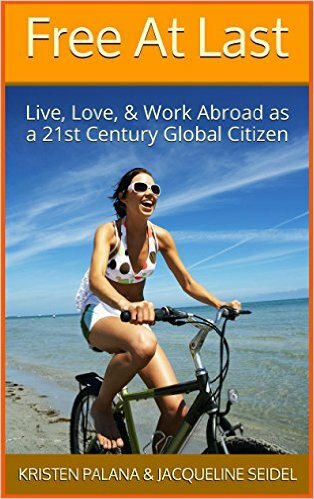 *Free At Last: Live, Love, and Work Abroad as a 21st Century Global Citizen (Deal, Not Free) by Kristen Palana, Jacqueline Seidel. Price: $0.99. Genre: Travel Memoirs Deal, Sponsor, Travel Guide, Travel Writing. Rated: 4.7 stars on 15 Reviews. 110 pages. ASIN: B019LPY3U2. Reviewers love it: Inspiring, interesting and pleasurable! I found it charming and informative! This book rekindles the wanderlust in me, and reminds that there is so much more to life! The authors have really worthwhile information to share! Awesome guide for those who do not know where to begin their global adventures! *Living the Best Day Ever by Hendri Coetzee, Kara Blackmore, Pete Meredith. Price: Free. Genre: Travelers & Explorers, Teen & Young Adult, Travel, Adventurers & Explorers, Biography. Rated: 4.8 stars on 12 Reviews. 422 pages. ASIN: B00JKU58RQ. AMAZON AFFILIATE: The Ultimate Business and Marketing Guide to Make Money Online With The Amazon Affiliate Program by Shane Blanc. Price: Free. Genre: Econometrics, General, Amazon, Business & Money, Travel, Great Britain. Rated: 4.7 stars on 6 Reviews. 42 pages. ASIN: B01D6VAIPQ. Death by Volcano by Everett Peacock. Price: Free. Genre: Ghosts, Pacific, Thrillers, Travel. Rated: 4.2 stars on 14 Reviews. 235 pages. ASIN: B00A31USNU. Posted on March 22, 2016 Author KibetCategories $1 Travel deals, Biographies, Free Travel Kindle Books, memoir, TravelersLeave a comment on Kindle Travel Deals for Tuesday! RV Living: Living to its fullest in an RV! An Ultimate Guide to Your Freedom! Simple hacks, tips and tricks to improve your motorhome life by Nick D.. Price: Free. Genre: Electrical, Road Travel, General, Travel, Specialty Travel, Auto & RV Travel. Rated: 4 stars on 6 Reviews. 41 pages. ASIN: B00WT2VG9G. Posted on March 21, 2016 Author KibetCategories Free Travel Kindle Books, TravelersLeave a comment on Kindle Travel Deals for Monday! Turismo Ousadia: Como Conquistar o Mundo Ainda Jovem (Portuguese Edition) by Raiam Santos, Leandro Ice, André Cappelletto. Price: Free. Genre: Biographies, Diaries & True Accounts, Travel, Biography, Travelers & Explorers, Teen & Young Adult, Biographies & Memoirs, Children’s eBooks. Rated: 4.6 stars on 5 Reviews. 164 pages. ASIN: B00ZZ973XI. Posted on March 20, 2016 Author KibetCategories Biographies, Free Travel Kindle Books, memoir, TravelersTags spanishLeave a comment on Kindle Travel Deals for Sunday!